Hypoparathyroidism is a clinical disorder characterized by hypocalcemia and hyperphosphatemia. 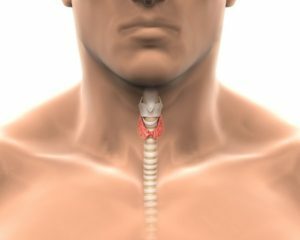 Image 1 – Thyroid gland. Hypoparathyroidism manifests when parathyroid hormone (encoded by the PTH gene) secreted from the parathyroid glands is insufficient to maintain normal extracellular fluid calcium concentrations (defective synthesis or secretion) or, less commonly, when the hormone is unable to function optimally in target tissues, despite adequate circulating levels (end-organ resistance or inappropriate regulations that result from the activated or antibody-stimulated calcium-sensing receptor – CaSR). 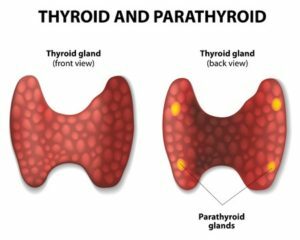 Genetically inherited forms of hypoparathyroidism arise from defects of parathyroid gland development, defects in the parathyroid hormone gene (PTH), defects in the calcium-sensing receptor gene, defects in the autoimmune regulator gene, and genetic syndromes. Image 2- Thyroid and parathyroid glands. Patients affected by genetic hypocalcemia (with or without with Bartter syndrome, CASR gene mutations) or hypocalciuric hypercalcemia, type I (CASR gene mutations) may also be initially diagnosed with hypoparathyroidism. Given the genetic heterogeneity, we recommend proceeding to a next generation sequencing multigene panel based on either exome or genome sequencing. Posted in Academia, Disease cards, Last Update, Medical Genetics and tagged CASR, GCM2, Hereditary hypoparathyroidism, PTH.